PGAdesign worked with the design team leading the site improvements portion of the scope for the master planning of the campus to include renovation of existing and location of new facilities within the campus. The landscape design provides a series of three interconnected spaces creating a secure pedestrian friendly environment with Creek Quad, Performance Quad, and Playing Field Quad. 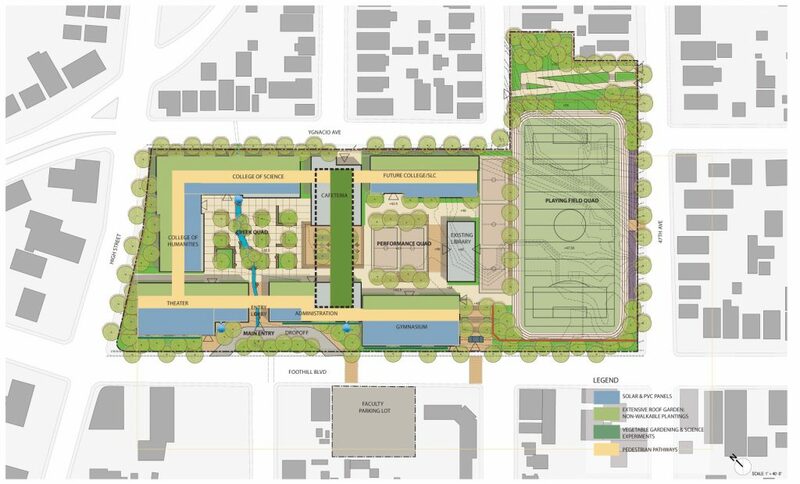 The plan focuses on flipping the location of the current sports field to allow for phased construction and for standard length football field with bleachers. The campus is planned to be a net zero energy school.